I walked into Gap a couple of weeks ago, and I couldn’t believe how adorable everything is for spring!! 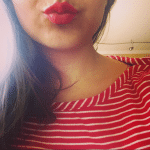 I shopped the colorful pants, patterned pants, soft sweaters… everything you could ask for! I particularly fell in love with these neon pink jeans. You want to know what I love about skimmer jeans? Well, on a tall or even normal sized person, they would be adorable ankle length- fresh and on trend. What are they on me and other petite friends? The perfect full length pant. Hooray!!! I’ll take it. I was so happy to be in warm weather, I wore these a couple of times while in LA. 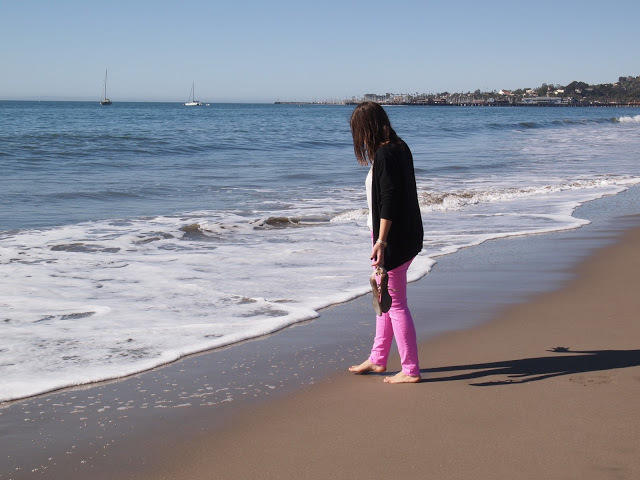 This beach in Santa Barbara seemed especially fitting and beautiful for a bright outfit post. I love bright pants for spring, especially the pink shade of these! They're so fun and playful. You look great! Chelsie- I already have colored pants from past seasons- but these are so affordable, I almost want to go back and get more!! i went to gap on thursday and fell in love with these! kicking myself for not buying! Thought for a second you were sticking your toes in Lake Michigan, eek! Love the bright jeans!